For all those little niggles you just don’t seem to find the answer for. Below is a list of tips which I hope will help you provide a safe envir­on­ment for all. 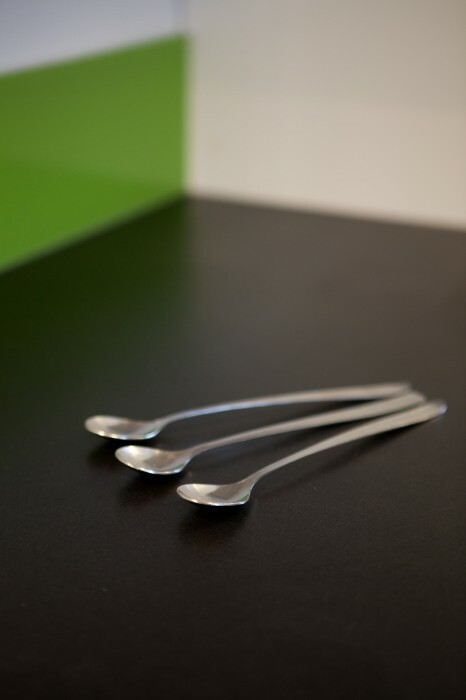 Long Spoons: An essen­tial for any Gluten Free kit­chen. Get every­one in the house­hold into the habit of using long spoons to take/serve con­di­ments such as jam, may­on­naise olives etc, great for avoid­ing cross‐contamination. Toaster bags: Ideal if you only have one toaster. Also great for tak­ing on hol­i­day with you. Gluten Free First: If you are pre­par­ing a meal, cook­ing or wash­ing up get into the habit of always doing Gluten Free first. Positioning: When cook­ing a Gluten Free dish and a glu­ten dish, always place the Gluten Free dish on the higher shelf, so, any food that drips will simply fall into the glu­ten dish below. Stations: Just as you will have sep­ar­ate work sur­faces for Gluten Free and Gluten con­tain­ing foods, so, you should have sep­ar­ate sta­tions for sponges, cloths and tea tow­els. Cake Sales: Cake sales are very pop­u­lar now at school. I always try and provide a Gluten Free option for Amélie’s class cake sale. Wet wipes: I can­not live without them, great for wip­ing away unwanted crumbs. Billy auto­mat­ic­ally wipes his hands now whenever he has touched a product with glu­ten in it. Labels: Brilliant for using when you are stay­ing at family/friends houses and have to share their kit­chen. I label all of Amélie’s food which pre­vents products acci­dently becom­ing con­tam­in­ated and helps every­one in the house to stay safe. Tablecloths: Many house­holds now have an oil table­cloth on their din­ing table as they are easy to keep clean. They are also great for using on pic­nics. I found that no mat­ter what I did unwanted crumbs would always end up on Amélie’s pic­nic blanket. So, I decided to use an oil cloth instead, crumbs are now very eas­ily wiped away and unwanted spillages are quickly wiped up.